Hope is something, that can work wonders. I too am waiting hopefully, as I do for almost every new happening in my gardening space. It has to be, as so much of hard work goes into building hopes. Every time I get a new plant, hopes comes flying by, along with the plant that it will someday either bloom or give me fruits, even if it's something that I don't quite like having. 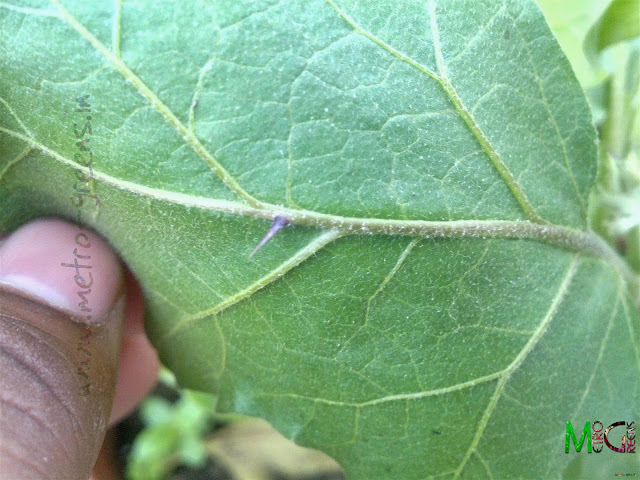 In the last post, I shared with you all, my small eggplant saplings. Since then, the time seems to be flying by, that too quite fast. 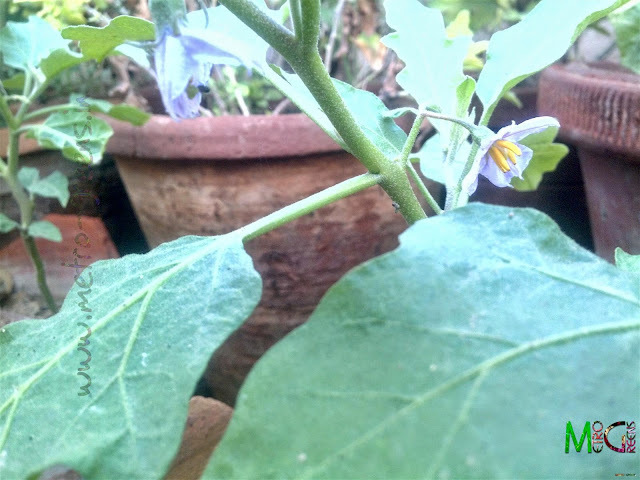 While, I did share that the egg plants have started blooming, the plants, to me, still looked immature to bear fruits, but, I must say, since the blooming has started, the eggplants seem to be maturing too along with. 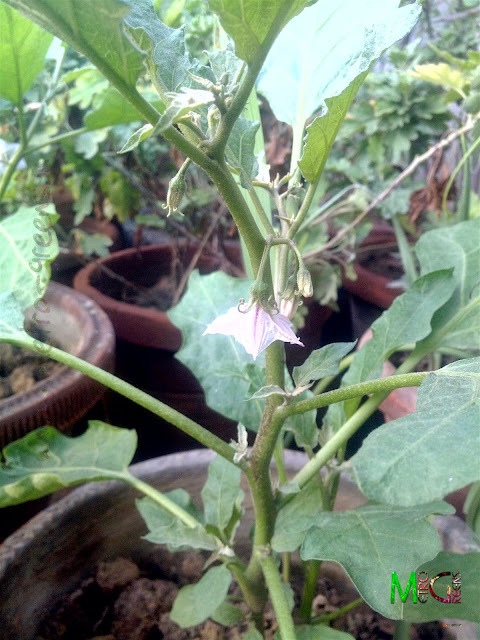 Their sizes are growing, the size of leaves are increasing, and the plants are taking shape, good enough to make me hopeful that I am about to reap a good harvest from the 7-8 eggplant saplings that managed to survive the scorching summer and deficient monsoon. 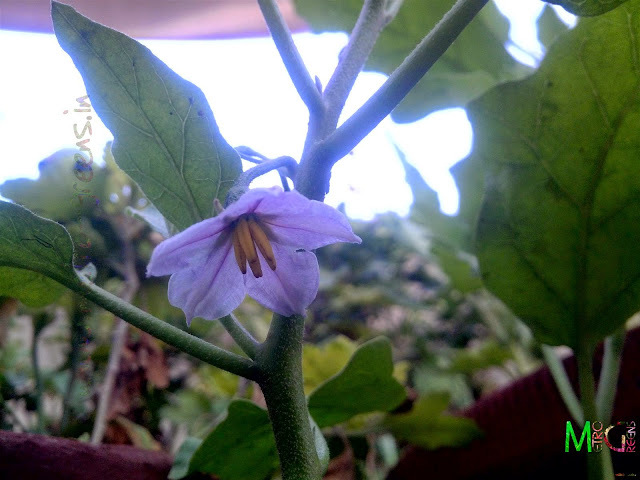 The eggplant blooms, are nothing sort of quite a feast to the eyes, the down facing lavender coloured blooms are not that showy, and, I believe do not even have any fragrance. Almost all of the blooms on my plants, till now, have withered away, but, this is a part of the nature's plan. 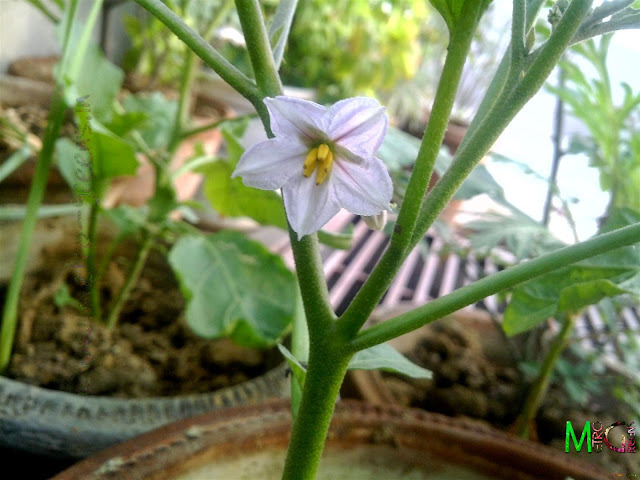 So, I am hopeful that sooner or later, I will get to see brinjals grown by me, in some of my pots, in my small rooftop garden, and that is the sense of motivation that keeps me going. I will leave you guys with some blooms, nothing to relish for the eyes, still a hope for the coming days. Till then, keep hoping and HAPPY GARDENING!